"The problem is with the compressor, we shall get it repaired in a day", commitment came from the AC mechanic. Two days and hundred phone calls later, we got accustom to the temporary table fan installed in our office cubical. The third day was Wednesday, when I received a link from my wife. Snow clad mountain, green meadows, colourful tents, pebbles pathways and enthusiastic hikers in winter suits is what the link opened up to. Within 10 minutes, a whatsapp group was created with only three members, me, my wife and my brother in-law, Rahul. The decision on destination was unanimous. With school summer vacation already continuing, children were at their Nani's home. The only challenged was getting our leave sanctioned simultaneously. "Go ahead", "only if you exceed your target by a ton this month..! ", "system may bhar dena" three different boss and three positive response, the last one came from my boss. Next morning at the breakfast table the choice was plenty. The American, Continental, Israeli and host of other breakfast option served with fresh orange juice at the Bhandari Cottage restaurant always tempted me and my wife to stick to this place. For Rahul, the temptation was more to do with the presence of good looking tourist from these countries rather than the menu. We started our onward journey at around 10 am. The traffic slowed down as we cross Shivpuri, the rafting capital of India. After an hour drive we turned down the AC for a while to get the feel of fresh air. Ganges was towards our right, flowing in opposite direction. Even in the sharp curves She was calm, elegant and moving flawlessly towards the plains to serve the civilization. On the other hand we were carefully moving ahead, shifting gears, applying brakes, blowing horns and burning fuel. "Post it quick, before the network betrays you" Rahul commented from the rear seat. "you may have to wait for two more days to count your likes" he was confident of weak connectivity as we gain altitude. As we crossed Augustmuni, we got to see the first glimpse of the Himalayas. It was exactly 24 hours after my wife send me that magical link. Excited and thrilled, we stopped to take a couple of pics with river, mountain and road in the background. After covering 35 km from Rudraprayag we left the Kedarnath highway and took the route to Ukhimath. During winters idols from Kedarnath are bought to Ukhimath and worshipped for six months. From Ukhimath, the actual ascend starts. The road become narrower and on every curve landscapes changes. As we pulled down the window glass, we got to feel the thin air. Priyanka was first to wear her sweater. The only unnatural and alien movement on those narrow roads was probable our Wagon R, everything else were in harmony with the nature. 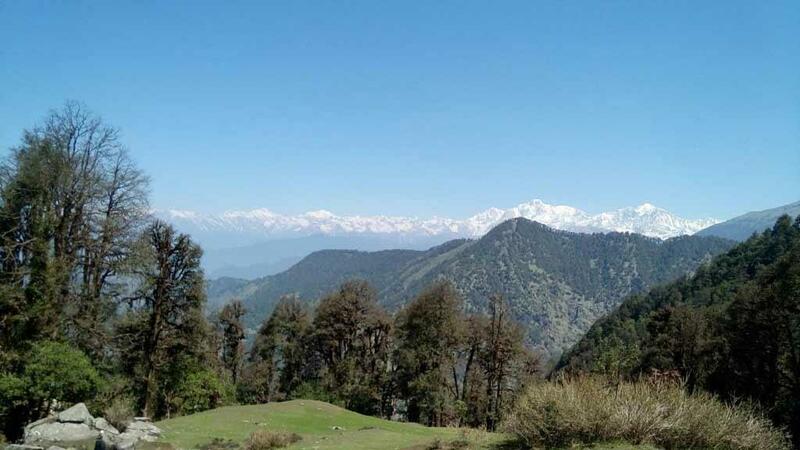 Now, the snow clad mountains were towards the left, constantly treating travellers to a visual delight. For the next 30 minutes we were all alone, there was no other vehicle on the road. "Jiju, we are not going anywhere else" Rahul expressed taking a long breath. It was a dream place for any Delhite in search of relief from the mad May heat. The manager welcomed us. There were few more families having their evening tea with pokoras but there was hardly any noise. The manager guided us to the tents. They were beautifully maintained, with attached bathroom and running water. As Dilip, the manager explained us the stay packaged, my excitement suddenly dropped down. It was beyond my budget. I walked a few step ahead looking at the sun skipping behind the hills. But deep down my heart I was confidence the sceme pair of brother and sister (Rahul and Priyanka), will manage a deal and they actually did. Happily we went back to bring our baggage's. It was almost dark by the time we entered the tent. 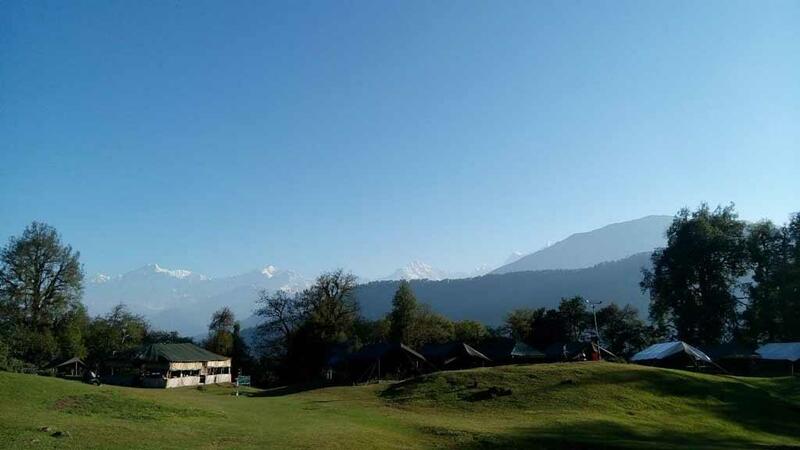 The main attracation at Chopta is Tunganatha Mandir and Treeking. Proper justice given to the place through words. beautifully written i couldn't take off my eyes through out the article. One of my friends has visited here recently. 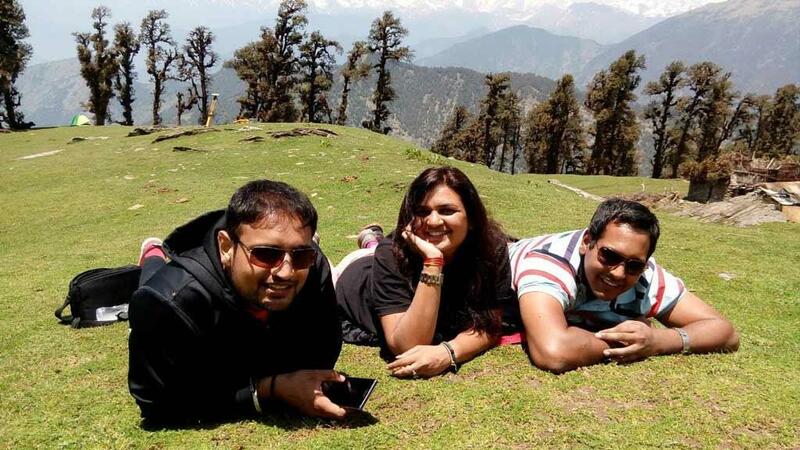 It is one of the most amazing unexplored tourist destinations in Uttarakhand. Because of its less popularity, tourists rarely visit here.